Edina, Minn.-based Abdo Eick & Meyers (FY15 net revenue of $21.1 million) has merged in Workforce Resources Inc.
Cleveland-based Barnes Wendling CPAs (FY15 net revenue of $10.2 million) has been selected as an honoree for the 2016 Smart Business Customer Service Awards. The 2016 Customer Service Awards will honor companies who have demonstrated superior customer service and will be showcased at the Nov. 3 2016 Power Players Luncheon Series. This program, hosted by Smart Business magazine of Cleveland, serves to raise awareness of the importance of customer service in the business world and to share best practices from those who do it best. 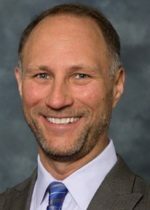 New York-based Grassi & Co. (FY16 net revenue of $53 million) has welcomed Jeff Agranoff as the chief human resources officer and HR consulting principal in the Jericho, N.Y., office. 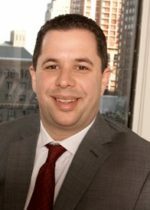 Prior to joining Grassi & Co., Agranoff was the COO and HR principal at New York-based Friedman LLP. He has 18 years of experience in the public accounting industry leading human resource departments and providing outsourced HR solutions to growing and middle-market clients. He has written numerous articles on topics such as workforce management, millennial training and the management of professional services firms. Naperville, Ill.-based Sikich (FY15 net revenue of $116.6 million) announced that it will acquire Stanfield & Associates, a Downers Grove, Ill.-based firm with extensive experience in outsourced accounting. Stanfield specializes in performing outsourced accounting for family offices, which are private wealth management advisory firms that manage investments for high-net-worth individuals and families. Founded in 2011, Stanfield & Associates will join Sikich’s practice, which offers outsourced accounting and tax planning and preparation services to small and midsize businesses across industries. “Joining Sikich will allow us to tap into the full team’s impressive technical knowledge and the firm’s many practice areas to offer our clients access to new insights and services,” says John Stanfield, founder and principal at Stanfield & Associates. The acquisition of Stanfield & Associates comes on the heels of the announcement of Sikich’s acquisition of SCS, a technology firm based in Glendale, Calif. Earlier this year, Sikich also expanded into northeast Ohio with the acquisition of BCG & Co., an Akron-based firm offering audit and assurance, tax, technology and wealth management services. Sikich’s acquisition of Stanfield & Associates is scheduled to close Nov. 1. New York-based Marcum (FY15 net revenue of $412 million) announced that it leads the profession in IPO audit market share during the third quarter of 2016, with more IPO audit engagements than any other non-Big 4 accounting firm. It was the fourth consecutive quarter that Marcum has been among the top five IPO audit firms in the U.S., according to Audit Analytics. For the quarter ended Sept. 30, Marcum held 28.5% of IPO transactions audited by non-Big 4 firms and 9% of the market overall. Marcum’s performance over the first three quarters of the year was also strong, with a 21% share of IPO transactions among non-Big 4 firms and 5% of all transactions industry-wide. 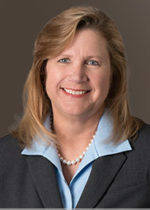 Charlotte, N.C.-based Dixon Hughes Goodman (FY16 net revenue of $394 million) has announced that Elizabeth (Liz) Gantnier, the mid-Atlantic region professional practice partner based in Baltimore, has been appointed to the AICPA Peer Review Board for the 2016-2017 term. The mission includes developing, implementing, maintaining and enhancing comprehensive standards for performing and reporting on peer reviews and related guidance for firms subject to peer review. With more than 30 years of experience in the accounting industry and having served on numerous committees within the AICPA and other governing boards, Gantnier will provide extensive insight into the peer review governance process, the firm announced. The accounting association, Morison KSi has expanded its U.S. coverage by welcoming Los Angeles-based Weinberg & Company, a seven-partner firm with an international focus. Morison KSi says appointing Weinberg & Company is an important part of the association’s North American development strategy. The firm’s core services include assurance and audit, tax and accounting, private client services, business management and consulting and the firm has experience serving a wide range of industries such as consumer products, life sciences, media and entertainment and technology. An independent panel of judges selected Alliott Group as the winner of the 2016 The Accountant/International Accounting Bulletin Rising Star Association of the Year award. In the last 12 months, the alliance has taken steps to reposition and reinvigorate its global brand and to increase the flow of new business into the group through new partnerships and alliances and the development of special interest groups. A new client facing brand will be launched in early 2017 as part of an ongoing business development strategy. Chicago-based BDO (FY16 net revenue of $1.3 billion) has announced that Lee Duran, William Eisig, Paul Heiselmann and Anthony Lawrence have each been elected to three-year terms to the firm’s board of directors. Duran, Heiselmann and Lawrence are new directors, while Eisig was re-elected to a new term of service. These changes are effective Nov. 1. “As our firm continues its rapid growth, it is essential to have good governance in place. I believe the partners of BDO USA have shown excellent judgment in electing these very qualified individuals to represent them on the board of directors,” says Wayne Berson, CEO of BDO USA. Duran is an assurance partner in the firm’s San Diego office with over 30 years of professional experience serving a variety of high technology and service industries. In addition to his local responsibilities, he serves as a leader in both BDO’s private equity and capital markets practices. He also serves as BDO USA’s U.S. liaison to the BDO International member firm in Japan. Eisig serves as MP for BDO USA’s Atlantic region and previously served as the assurance managing partner for the region. Based in the firm’s Washington, D.C.-area office, he has more than 25 years of public accounting experience serving clients in a variety of industries including media, publishing, sports and entertainment, governmental entities and nonprofit organizations. He is MP of the firm’s nonprofit and education practice and serves as executive director of the BDO Institute for Nonprofit ExcellenceSM. 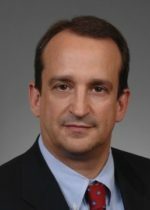 Heiselmann serves as both MP for BDO USA’s Southeast region and the national managing partner of the firm’s specialized tax services (STS) practice. 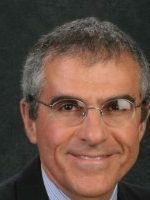 He has more than 30 years of professional experience serving technology, retail, manufacturing and distribution, life sciences, professional services and private equity companies with tax, operational and business strategy issues. He has consulted on tax matters related to issues such as public and private offerings, licensing and intellectual property ownership, stock option and equity issues, R&D credits, methods of accounting and accounting for income taxes. Lawrence serves as the assurance MP for BDO USA’s Grand Rapids, Mich., office. With more than 20 years in public accounting, his practice experience includes work with both public companies and privately held businesses on domestic and international assurance issues. He has advised clients on mergers and acquisitions, joint venture arrangements, alternative debt arrangements and private equity financings during his career. He also has served on various firm committees dedicated to developing and implementing improved audit efficiencies and best practices at BDO. New York-based Marks Paneth (FY15 net revenue of $111 million) has announced that the firm has launched its health care practice. The practice will be spearheaded by two industry veterans – partner Jacob Beniawski and principal Joseph Frohlinger – each bringing more than 25 years of experience serving the health care industry. With the addition of Beniawski and Frohlinger, the firm will now offer audit, tax, advisory and financial consulting solutions to a broad spectrum of organizations within the health care industry, such as nursing homes, home care, managed long-term care plans, health maintenance organizations (HMOs), diagnostic and treatment centers, mental health agencies and hospitals. “The formation of our health care practice is the natural result of synergies across our firm’s practices and yet another exciting step toward our firm’s strategic vision,” says MP Harry Moehringer.